Windows 10 is now a fact of life for most enterprises, offering a wide range of improvements and benefits over legacy Windows systems. But Microsoft has changed the rules of the game when it comes to delivery and management of OS updates. 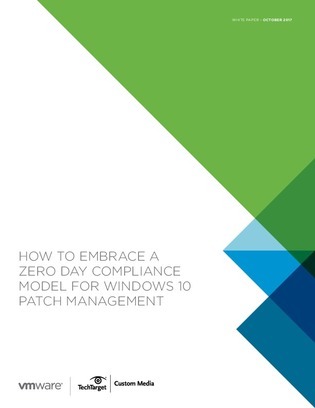 After decades of deploying Windows based on an on-premises, network dependent paradigm, IT professionals now are coming to grips with Windows as a service (WaaS)—particularly the important requirements of patch management. These changes have big implications for IT organizations looking to ensure endpoint security and restore order in Windows patching within a rapidly changing OS framework. In order to regain control over the entire range of endpoint lifecycle management using over-the-air policy and modernized configuration management, application management, and real-time security, enterprises should consider a purpose-built Unified Endpoint Management solution. Download the whitepaper to learn more.